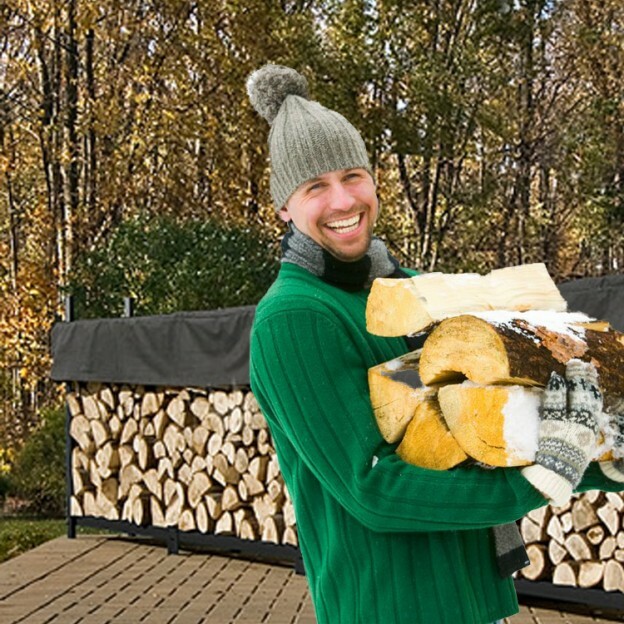 If you like to keep a good quantity of firewood on hand, an outdoor log rack will keep your firewood off the ground while letting your wood air dry. 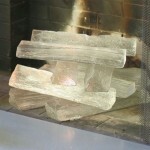 Firewood in contact with the ground often absorbs moisture from the ground and becomes infested with termites. 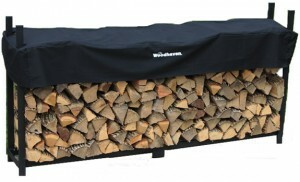 Sturdy steel outdoor log racks are available from 2 feet to 16 feet long, holding up to a full cord of firewood! 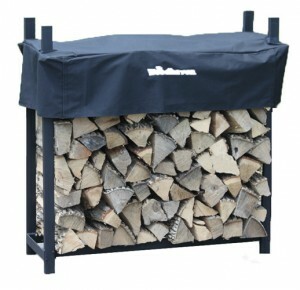 The Woodhaven log racks have a lifetime structural warranty. Tubular steel log racks are not as strong, but, at least initially, they are more economical. Crescent log racks are an upgrade from the purely functional, work well on a porch or patio, and make separating tender and firewood separately easy. 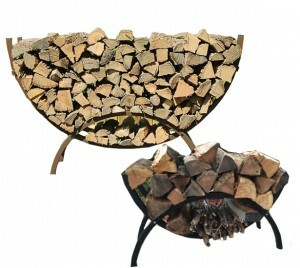 Covers are included on some models of outdoor log racks and available as options on other models. 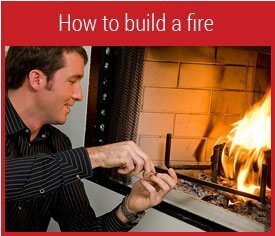 Many outdoor log racks have covers only about a foot deep, insuring that you’ll always have dry firewood while allowing air to circulated through the uncovered logs. 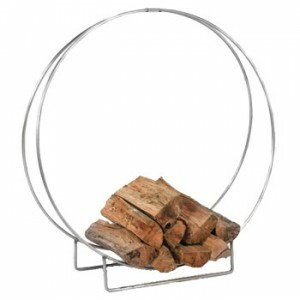 Log hoops in the 36″, 40″ and 48″ diameter sizes are also great for outdoor firewood storage. Typically, log hoops come in 24″, 36″ and 48″ sizes in powder coated steel and stainless steel. The stainless steel log hoops are particularly well suited to outdoor use. 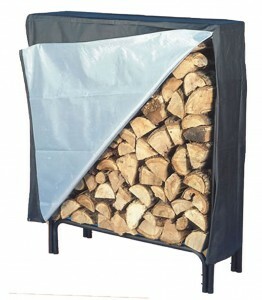 A cover can be purchased for some log hoops, an aid to keeping your firewood free of snow and moisture. 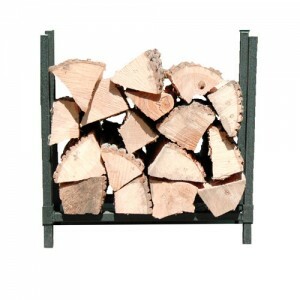 When selecting an outdoor rack for your logs, consider the maximum amount of firewood you will have on hand. 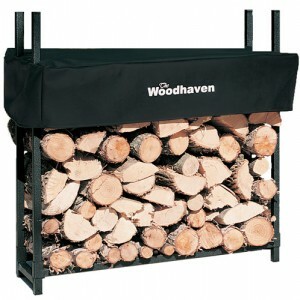 For example, is you usually have a bit of firewood left at from the end of the previous season and usually buy a fourth of a cord, you need a 60 inch log rack. 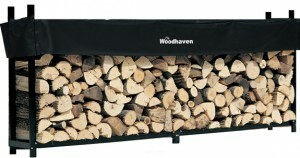 A 48 inch log rack would hold the quarter cord, but it would not hold the bit of firewood you already have on hand when the new firewood arrives. 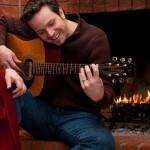 For when to buy firewood, see 5 Reasons Early Spring is the Best Time to Buy Firewood. 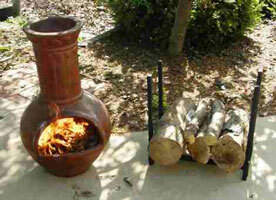 For information on finding a reputable firewood dealer, see How to Buy Firewood. 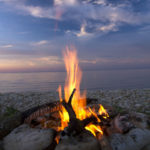 If you have a firepit or outdoor fireplace, you may wish to keep a small amount of firewood by it. 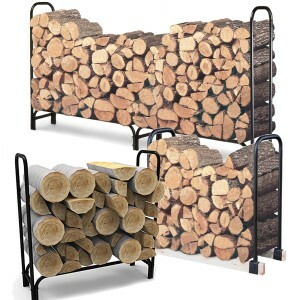 For that purpose, you need one of the small exterior grade log racks designed to hold only an evening’s worth of logs. 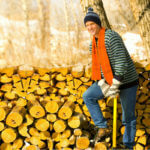 Do not use use log racks intended for indoor use in an outdoor environment. They will not last. 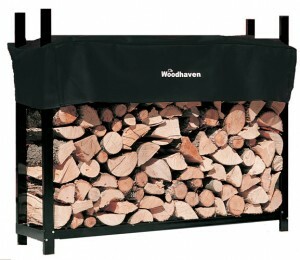 How Much Firewood Will a Log Rack Hold? 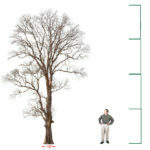 Racks 45 to 48 inches long will hold a quarter-cord of firewood. Ones 87 to 96 inches store a half-cord. Firewood racks 16 feet long hold a full cord of firewood. What’s a cord?